A friend of mine is starting a company and has a new office space. She asked me to help her get some good, low-maintenance plants for it. First I turned to the tough-as-nails Sansevieria. For this second planter, I picked (a variation on) an old standby: Spathiphyllum, aka Peace Lily. The first plant I ever consciously cared for was a Spathiphyllum. When I was in high school, a girlfriend gave me her Peace Lily to watch while she was away on vacation. I never gave it back. I can’t be sure because I’ve had so many over the years (Spathiphyllum, not girlfriends), but I think the descendant of that original plant is here in my bedroom right now. For this planting, I chose a variegated sport called ‘Domino.’ I hope it’s just as tough as its plain green cousin, with a bit more visual interest. I think it’s beautiful. There are only two downsides to Spathiphyllum. Downside 1: They’re water hogs. They basically can’t ever dry out. Fortunately, they’re pretty communicative – if all the leaves droop, water immediately. Do it fast and the leaves will spring right back to life (unlike those pesky ferns that droop and never come back). To protect against this downside in an office environment where plants tend to get neglected, I’ve potted the plant in a self-watering planter from Lechuza. I love their planters – they’re stylish, lightweight, don’t leak (very important in the office), and take the guesswork out of plant care. The pots have a reservoir inside that holds water, and a water gauge at the top of the pot, so all you have to do is refill the reservoir when the level drops. 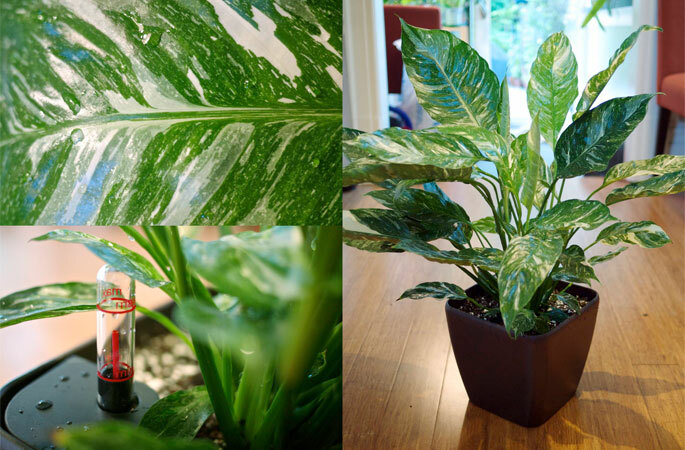 Lechuza self-watering planters are handy in general, but they’re especially great for plants that need water all the time – Colocasia, ferns, and any other plant that hates going dry – but they’re practically made for Spathiphyllum. 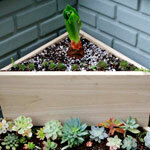 Putting the plant in a Lechuza pot means that someone will only have to tend to it once a month or so. Downside 2: They’re poisonous. As I learned from Amy Stweart’s awesome book, Wicked Plants, the most frequent plant involved in accidental pet poisonings is the beloved Peace Lily. It’s not that they’re hugely toxic, it’s just that they’re everywhere. Lest you worry, they’re also not particularly lethal. Still, I wouldn’t suggest snacking on one. To protect against this downside, I’m going to suggest that they keep this guy on a desk or shelf – somewhere off the floor – so that any visiting pets can’t get to it easily. I’m also going to advise them to avoid eating the plant, no matter how delicious it may look. So there you go! 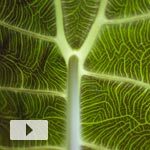 A great solution for a beautiful plant that can take low-light environments with minimal maintenance. Just don’t eat it. When you say “low light,” how low are we talking? I just moved into a new office with ZERO natural light and have been wanting to find some sort of plant that would be able to survive in it… it’s pretty depressing sitting in an interior office with no plants. Katie: If there’s light for you, any of these office plant ideas would work. 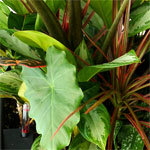 You could also consider Epipremnum aureum (aka Pothos). I’ve seen them grow in offices with no windows at all. And since it’s a vine, you can string it around as it grows.